Gibralfaro Castle is a Malaga icon and appears on the city and province’s flag and seal. The 10th-century monument with sturdy 14th-century fortifications is perched above the Moorish fortress Alcazaba in the Montes del Malaga mountain range. 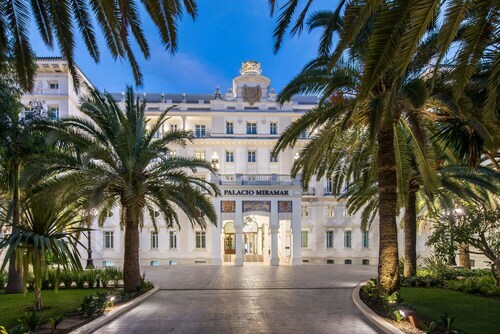 At the top, you can look out over the historic walls, Malaga’s port and the Mediterranean coastline. Reach the castle on foot by following the passageway from the Alcazaba, or catch a taxi or one of Malaga’s tourist or metro buses directly to the gate. Another option is to hike all the way up. Either follow the sloping, cobbled path through the hills and pine trees of the Coracha ridge or climb the zig-zag steps that wind up from the Plaza del General Torrijos. It is steep going, but there are magnificent views of the city along the way. The name Gibralfaro is derived from yabal (Arabic for hill) and Faruh (Greek for lighthouse), suggesting that the mountain was in use as a lookout long before a castle and mosque was erected here in 929. The mosque became a Christian temple, creating a mudéjar monument, a fusion of Arabic and European styles. Venture inside the castle grounds, stroll through the beautiful gardens and see the deep Airón Well. Climb the ramparts to look out over the cathedral and the port and city of Malaga. Enjoy the spectacular vista stretching across the Alboran Sea to Morocco. One wall offers a view down to the Plaza de Toros La Malagueta bullring. To learn about the early role of the castle as a defensive structure, visit the nearby Interpretation Centre, which is housed in a former gunpowder storage room. Discover fascinating sagas and admire weapons and artifacts. If you are driving to Gibralfaro, follow the road that is accessed by the Paseo de Reding and park on site. Admission to the castle and Interpretation Centre is free on Sunday afternoons and cheap in the morning from Tuesday to Sunday. 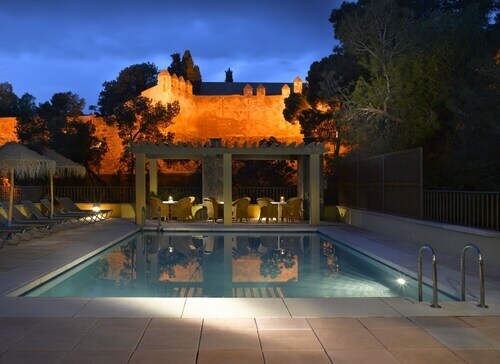 You can purchase a combination ticket to get discounted access to the connected Moorish Alcazaba fortress. Both sites are closed on New Year’s Day, February 28 and Christmas Day. 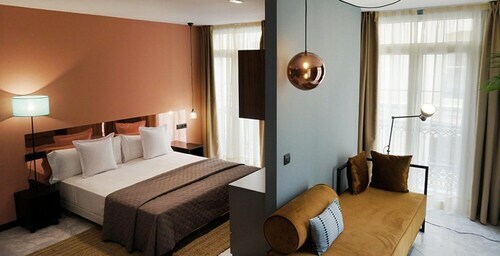 Located in Centro, this hotel is within 1 mi (2 km) of Banco de Espana, Alcazaba, and Malaga Cathedral. Picasso Museum Malaga and Malagueta Beach are also within 1 mi (2 km). La Malagueta Station is 14 minutes by foot and La Marina Station is 22 minutes. 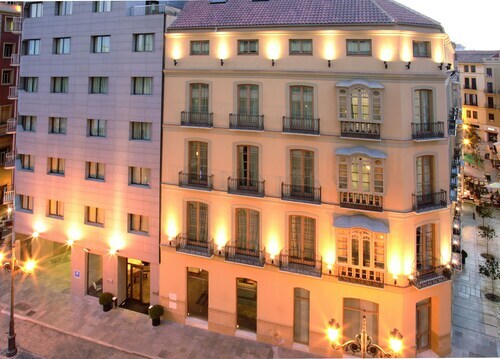 Located in Centro, this hotel is within a 10-minute walk of Plaza de Toros de la Malagueta and Malagueta Beach. 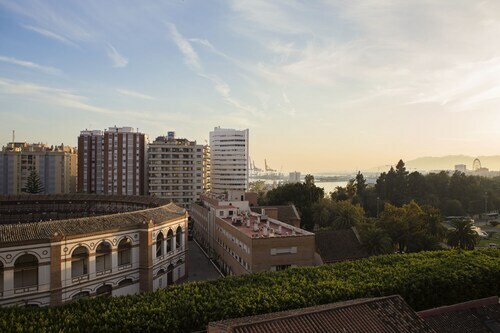 Alcazaba and Malaga Cathedral are also within 15 minutes. La Malagueta Station is only a 3-minute walk and La Marina Station is 14 minutes. 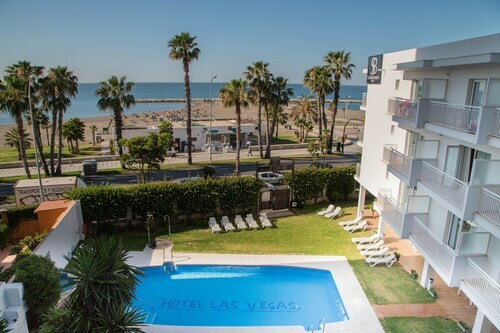 Located in Centro, this beachfront hotel is in the city center and within 1 mi (2 km) of Plaza de Toros de la Malagueta, Alcazaba, and Picasso Museum Malaga. Gibralfaro Castle and Carmen Thyssen Museum are also within 1 mi (2 km). La Malagueta Station is 11 minutes by foot and La Marina Station is 22 minutes.